You can now send and receive private messages on Instagram to anyone who has an Instagram account. Private messaging on Instagram is called Instagram Direct. 1. 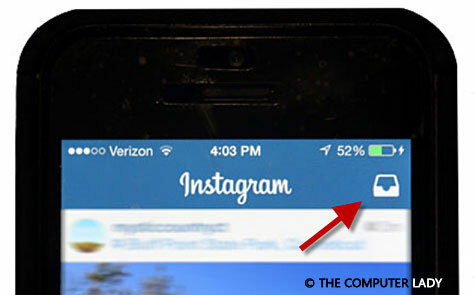 Open the Instagram app and look for the mail tray icon in the top right corner of your home feed. 2. Tap it to open your Inbox where you’ll see photos and videos that people have sent to you. 3. Tap the image you want to view. You can respond directly on that image just like you would on any other image (or video) on Instagram but this time, only the person who sent it to you privately will be able to see your response. If someone you’re not following sends you a photo or video on Instagram, it will go to your requests so you can decide if you want to view it. 3. Customize your photo or just tap Next again. 6. 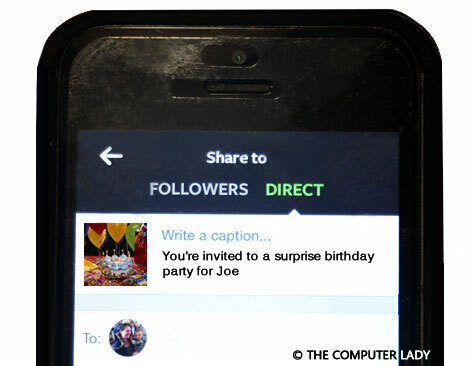 Type the person’s Instagram user name or find them from your existing Instagram friends list and tap to select them. You can select more than one person to send the same private image to.